So you’re going to be (or recently became) a father! Congrats! It’s a super exciting, life changing experience matched by none other. And you’re probably freaking out a little, right? That’s okay. It’s totally normal. In fact, pretty much anything you could be feeling right now is normal. Seriously, you’re about to be in charge of making another human great — of being in charge of not only keeping them alive, but teaching them how to be a decent part of society that will one day make an impact on the world. But before you fill up your time worrying about all of the things, take a moment to see what real dads actually think about new dad life. It might help alleviate some of your concerns, or at least show that you aren’t alone. Many new or expecting fathers feel like there’s supposed to be a thunderbolt moment when they first hold their child. And while sometimes there is, sometimes it’s just the first step of a long journey. What matters is that you accept that whatever you feel in those early moments is okay. There’s no doubt that women take on an incredible burden when a new child is born. Not only do they have the labor of childbirth, they are also solely responsible for feeding the new child, a process that is difficult, emotional and stressful for many. It’s very common for a new father to feel helpless in those first few weeks. It’s hard to watch someone you love struggle. Creating and nurturing new life can take a tremendous toll on a woman, both physically and emotionally. Even with the best intentions of sharing the load, you may have to settle for just providing her with as much support as you can. Lots of people, especially men, reach parenthood without having a lot of time around other people’s babies. When you don’t have that experience, holding this tiny fragile life in your hands can be really intimidating at first. When the papa bear instinct kicks in, it kicks in HARD. So much so that it can be incredibly painful to bear the knowledge that no matter what you do, you can’t shelter them from everything that could hurt them. New fathers are often thrust into the role of mediator when a baby arrives. Extended family on both sides may come in with their own needs and expectations at a time when you and your partner are barely holding it together. There’s no way around it — babies and children take up a lot of your attention, energy and time. It can take some time to really accept and become comfortable with the fact that you’re going to get things done at a slower pace now. 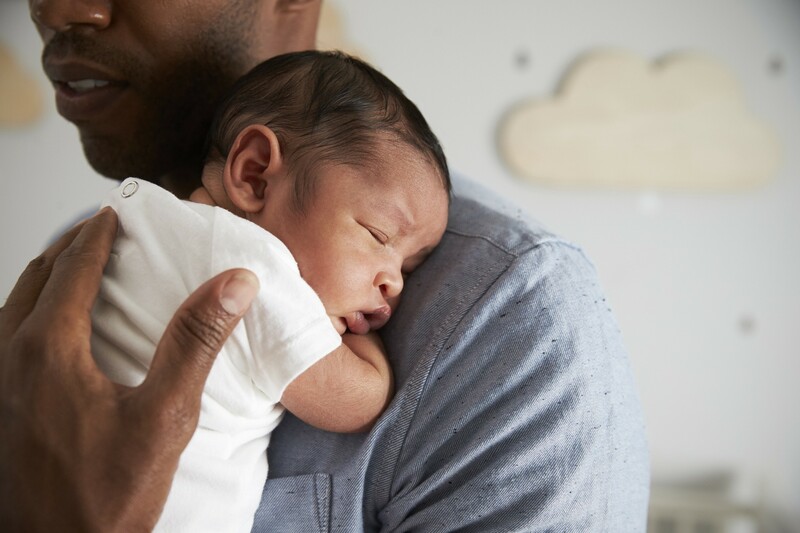 While a new baby is a joyous event for a couple unlike any other, it can also take a serious toll on your relationship. Your partner may be focusing attention on the children that they used to focus on you, or they may simply be too exhausted to really connect at the end of the day.